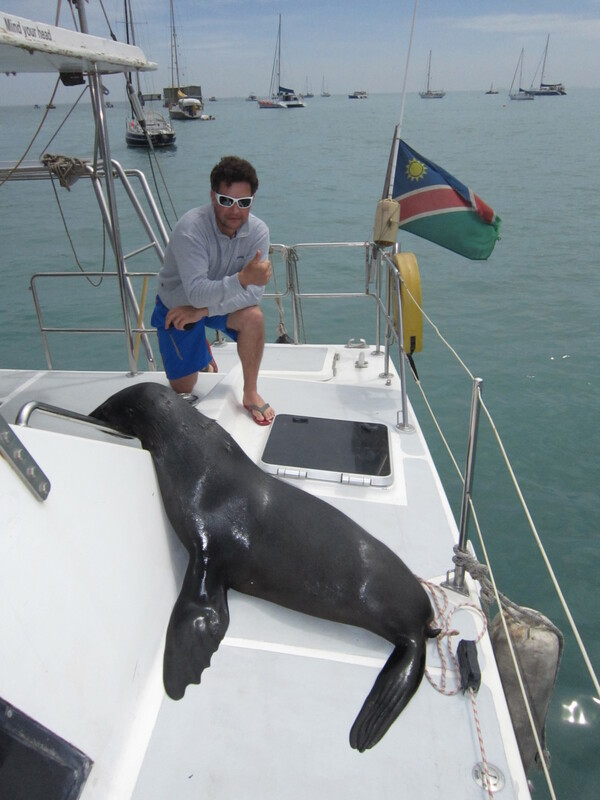 If you are heading to Namibia on a self-drive holiday or overland safari adventure in 2015, there is one special activity that should be on your travel itinerary, and that is a boat trip in Walvis Bay. 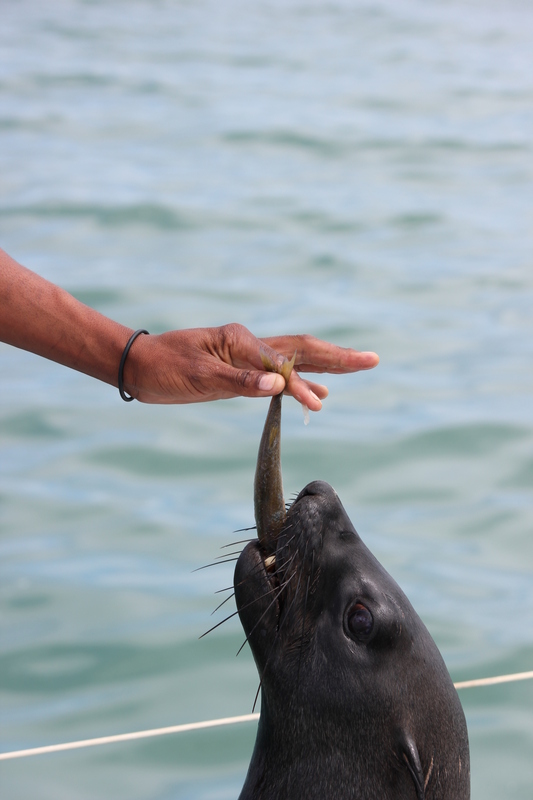 There are lots of different trips and tours available, you can take a speedboat, a catamaran or a leisurely cruise across the harbour, either way, you will see an abundance of bird life, the odd dolphin, and if you are really lucky, you might just meet ‘Oupa’. 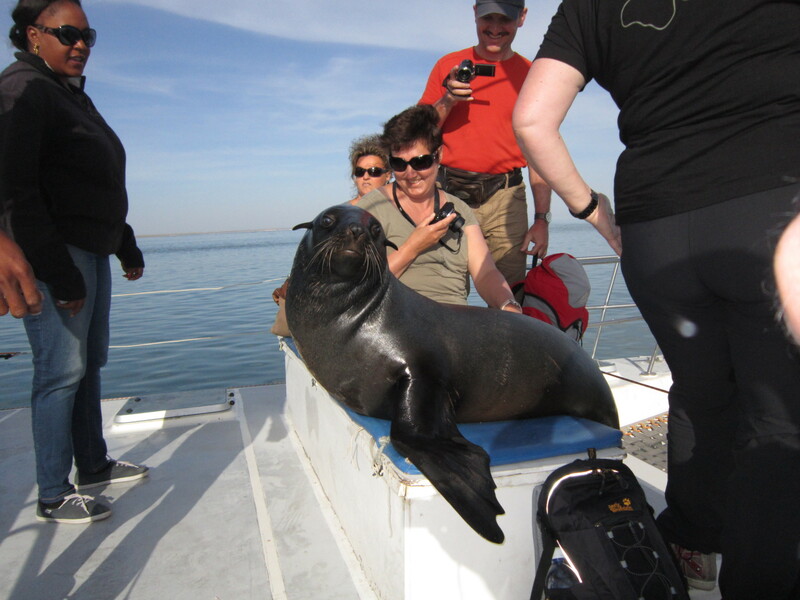 Oupa the seal is a legend in Walvis Bay. 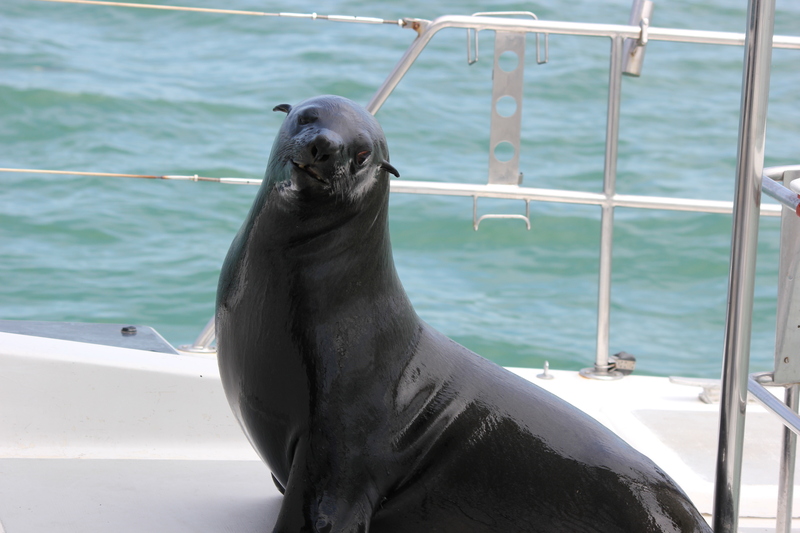 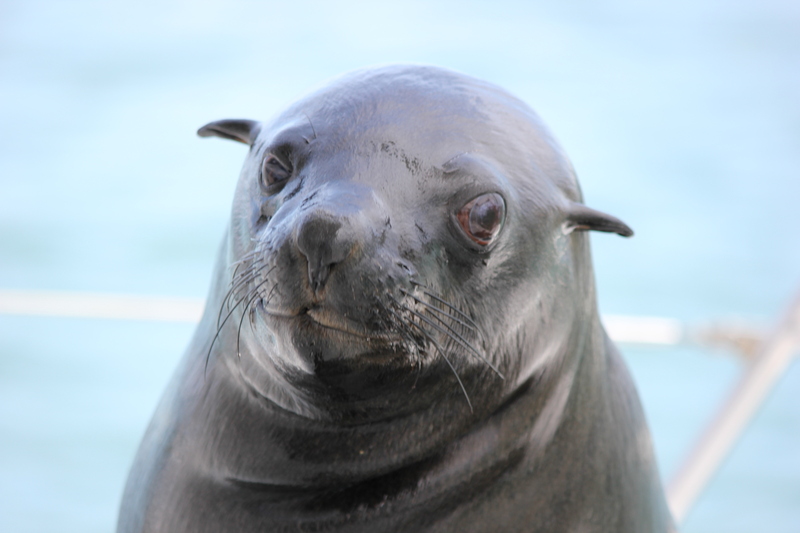 Ottmar Leipper, a local fisherman, found the aging seal with a fishing net tangled around his neck, and coaxed him onto his boat so that he could cut him free. 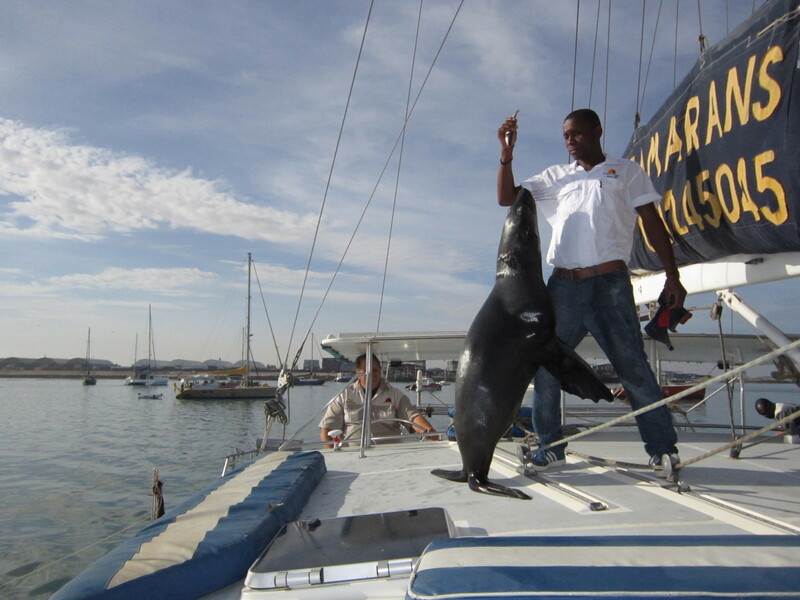 The process took several months, with Ottmar removing a little piece of fishing line every time Oupa came to feast onboard, and the pair eventually became firm friends.